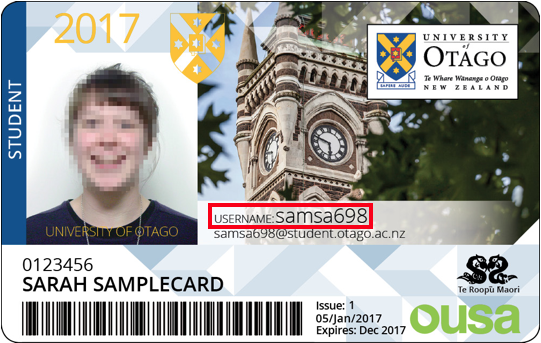 As a student, your primary identifier for IT purposes is your University of Otago username. This username (which also forms the basis of your StudentMail email address) is created automatically for you when your first enrol as a student at the University of Otago. It is a combination of the first few letters of your first and last name, and three random numbers, for example: James Bond's username might be bonja007. Your username is printed on your student ID card (as well as your University email address). Facebook University of Otago - Student I.T.